In 1998, Hasselblad’s partnership with Fuji revolutionised the camera industry with the introduction of the new XPan. The XPan was an extremely unique camera, providing the advantages of the 35mm format but also the ability to swiftly change to full panorama format without having to change the film. The XPan utilized a dual-format, producing both full panorama 24x65mm format in addition to conventional 24x36mm format on the exact same film. It was the first dual-format 35mm camera on the market that expanded the format instead of masking it, making sure that every exposure utilized the full area of the film. The 65mm width of the full panorama images are similar to the medium format, actually making the XPan a medium format camera for 35mm film. Weighing in at only 950 grams, the camera boasted a silent shutter, a quiet and quick built-in motor drive, an electronic exposure counter, and ran on two CRV2 3V batteries. With this camera concept, Hasselblad added a new dimension to the world of 35mm film and a perfect complement to the already extensive Hasselblad camera system. In total, there were about 16,800 XPan cameras produced between 1998 and 2002. The XPan had three interchangeable compact lenses, including focal lengths of 30mm, 45mm, and 90mm. The full panorama format was made possible by the large image circles of the specially designed interchangeable lenses. These light and extremely compact “medium format” lenses were characterized by razor-sharp image quality and excellent coverage. Multicoating of the glass elements ensured top quality results, exhibiting brilliant contrast and full tonal scale. When shooting with the XPan, as the film was exposed, it was wound back frame-by-frame into the cassette, thereby protecting the exposed section in case the camera was accidentally opened. This useful feature – combined with the XPan’s extremely quiet exposure and film transport – also reduced the risk of unwanted noise, since the camera wound film when the photographer decided to load film, not at the unexpected end of a roll. After the original XPan was discontinued, the XPan II was introduced in 2003. XPan II improved upon numerous features of the original XPan, including that the shutter speed and exposure data were viewable on the LCD display of the camera’s viewfinder; the bulb exposure capabilities were lengthened to 540 seconds; both 2 or 10 second options for self-timer delay; option for flash sync to be set at the start or end of exposure. Between 2003 and 2006, an estimated 5500 XPan II cameras were produced. Unfortunately, the rise of digital made demand for the XPan cameras decrease. On top of that, new EU regulations came into place in 2006 that banned certain elements from being allowed in electronics, which would have led to extensive rebuilding of the XPan II. 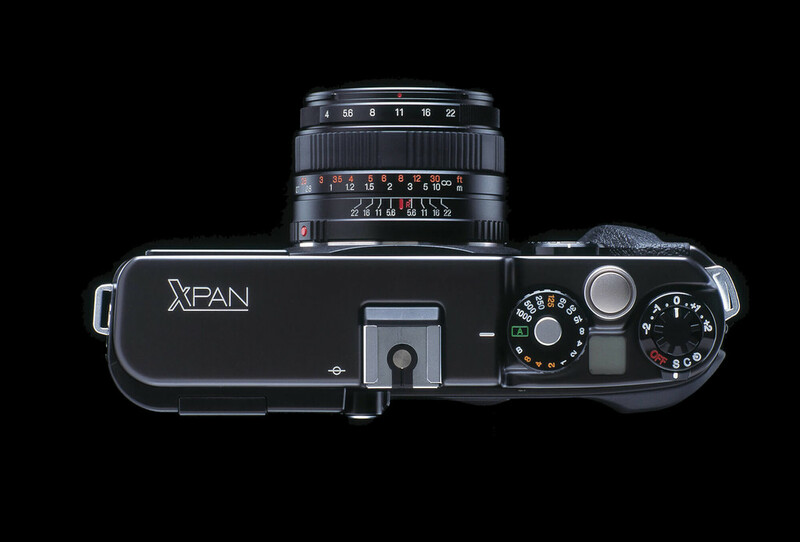 A camera unlike any other, the XPan has seen a resurgence in popularity among photographers wanting to shoot film again. It has no real competitor camera, truly making it a one of a kind.